dinderex | Coasting - It's A Voyage! Coasting – It's A Voyage! Over the past couple of years we’ve sailed from Dartmouth, England to Cartagena, Spain – over 2000NM and around 120 ports, marinas and anchorages!! From April/May 2015 we’ll be continuing our voyage in the Mediterranean – along the Spanish coat from Cartagena to the Balearics, Sardinia, Corsica, Italy, Croatia and Greece. 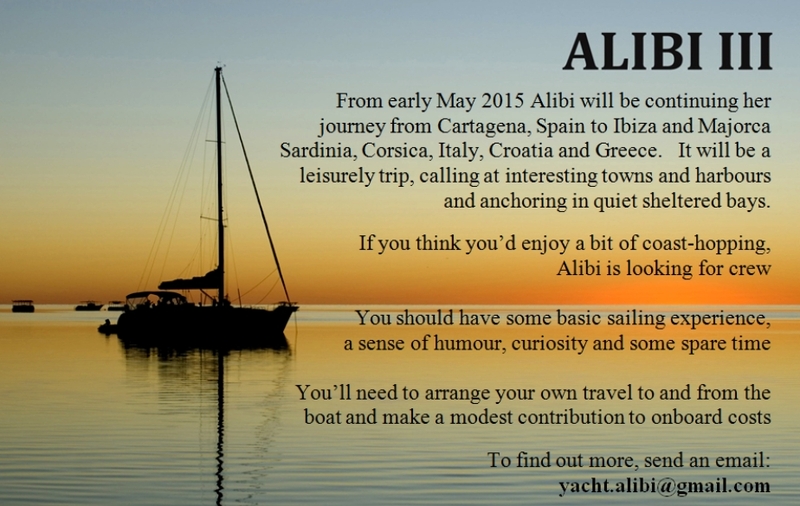 We’ll be doing ‘opportunity sailing’ – no weather challenges, we move when we like the look of it. Andy and Ellen will be aboard full-time from March to November and we’re looking for crew to join us for 7-20 days at a time. Do take a look at the FAQ to find out what to expect! The planner is here: http://goo.gl/9FujMs We prefer to sail with other couples as the accommodation is designed that way, but pairs of friends are welcome too. If you’re interested in joining us for a while, please use the contact form below to tell us a little more about yourself and the dates you have in mind.